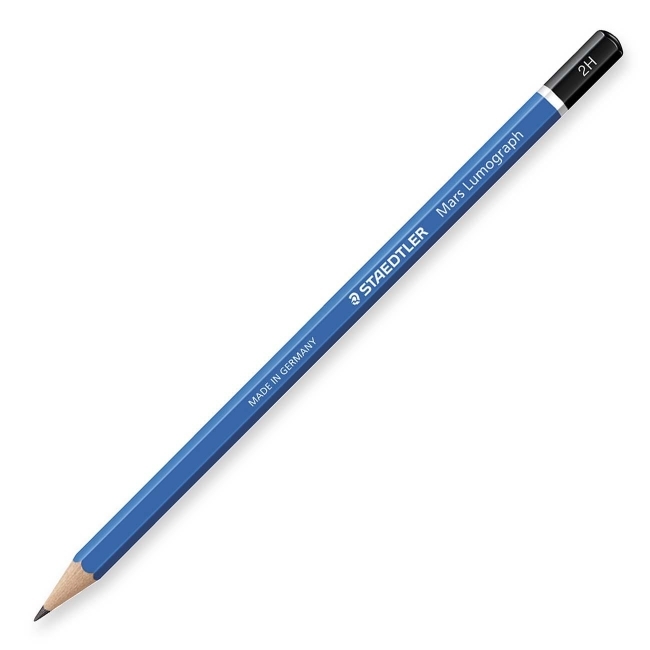 Lumograph pencils are designed for writing, drawing and sketching pencil on paper and matte drafting film. Lines reproduce well. Super-bonded lead is especially break-resistant. Pencil markings are easy to erase, and pencils are easy to sharpen. Each pencil has a blue hexagon barrel and no eraser.